Should you use a directional antenna? There’s a bit of a rumble going down at the office. On one side are those who say that a directional antenna is always best. On the other hand are the folks who say an omni antenna is the better choice. Which is better for you? An antenna is really just a piece of metal that is arranged in such a way that it does a good job receiving electrical signals at a particular frequency. Antennas for cell phones, televisions, even satellite dishes are all really about the same thing. However, you can group all antennas into one of two categories. 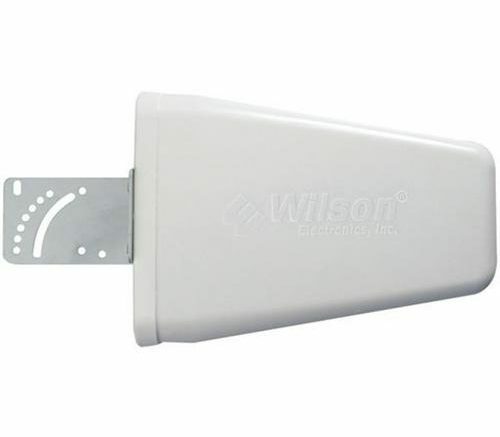 A directional antenna, like the Wilson 314475 shown above, pulls in signals from one point. Because all its signal-collecting ability is focused on getting a signal from one point, it can be very efficient at it. However, a directional antenna is a precision instrument. If it’s aimed wrong, or if its aim drifts, it’s more or less useless. To make matters worse the design of a directional antenna may actually make it easier to move in a cross-breeze. On the other hand, an omnidirectional antenna, or omni, does a pretty good job of picking up signals from a lot of directions at once. It’s the jack-of-all-antennas, if you will; put up an omni antenna like the Wilson 301201 antenna shown above is not affected by wind and can pick up a signal from any direction. It won’t do as good a job of gathering that signal but it won’t take any effort to aim, because it doesn’t need aiming. So which is right for you? In some cases, an omni antenna is a no-brainer. Take the case of a moving car, where the radio antenna has to pick up signals from a lot of different directions and while the car is speeding down a highway. There wouldn’t even be time to aim an antenna in a moving car. So, the omni is always the choice there. The same is true of a cell phone where you could be moving or you could be anywhere in relation to a cell tower. On the other hand, there’s a good case for a directional antenna. If you’re located over 50 miles from a major city and all your TV stations come from that city, a directional antenna will help you get the most of the signal that gets to you. Your house doesn’t move, so mounting the antenna and aiming it will give you the best possible result. There’s a grey area though, and it comes at times like installing a cell booster. Certainly a highly directional antenna makes sense, because the building you’re in isn’t going to move and if you are looking to boost your cell signal you may only have a clear path to one tower. However, there are problems with an installation like this. An amateur cell booster installer make mistakes very easily with a directional antenna. Cell tower signals are very weak to begin with and aiming is a precise art. An amateur is not likely to have an expensive signal meter and without one, aiming a directional antenna is an exercise in frustration. On the other hand, most cell booster installs are done where there is actually adequate signal outside but the signal fails inside for a variety of reasons. If there is adequate signal outside, an omni antenna may be all you need for your DIY installation. You’ll save time and heartache, and you’ll still have great reception inside.